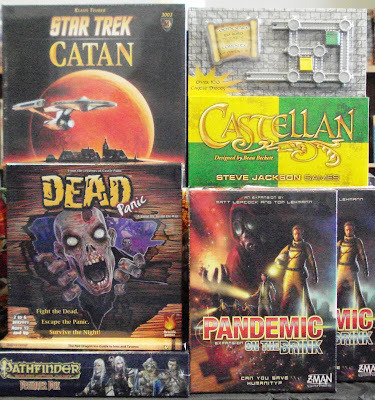 More new board games in this week's arrivals. 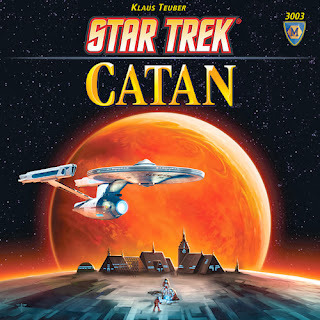 From Mayfair Games is this board game of Catan set in a Star Trek universe, Star Trek Catan. For fans of Settlers of Catan, Star Trek Catan offers a space theme replacing settlement and city tokens for outposts and star bases. The road pieces are now the USS Enterprise looking spaceships and the robber is a Klingon battle cruiser. The game mechanics are similar as in Settlers of Catan with an added variant. Special ability character cards have been added to the game play. Be Uhura and use her special ability, discard after use and come back as Spock, or Sarek or any of the other available characters each with a unique ability. 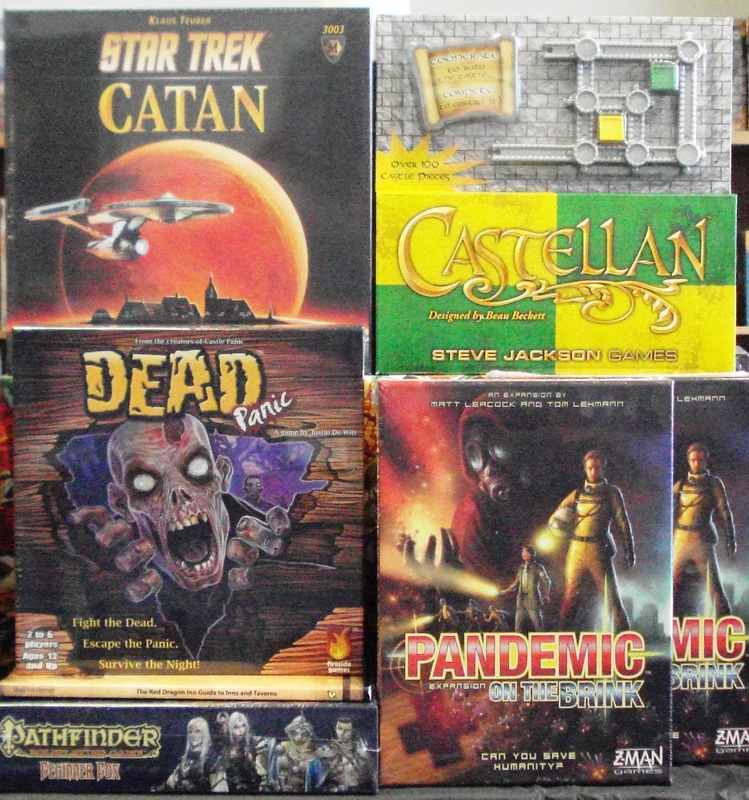 For gamers new to Settlers of Catan, in Star Trek Catan you are exploring the universe setting up outposts on planets in order to obtain valuable resources. The right combination of resources allows you the ability to expand your supply route to other planets, upgrade your outposts into star bases, acquire development cards. If you can't get the right combination of resources you can trade with your opponents but beware of hoarding resources. A Klingon battle cruiser may attack and you could lose some of those valuable resources. Amass the most victory points and you win. 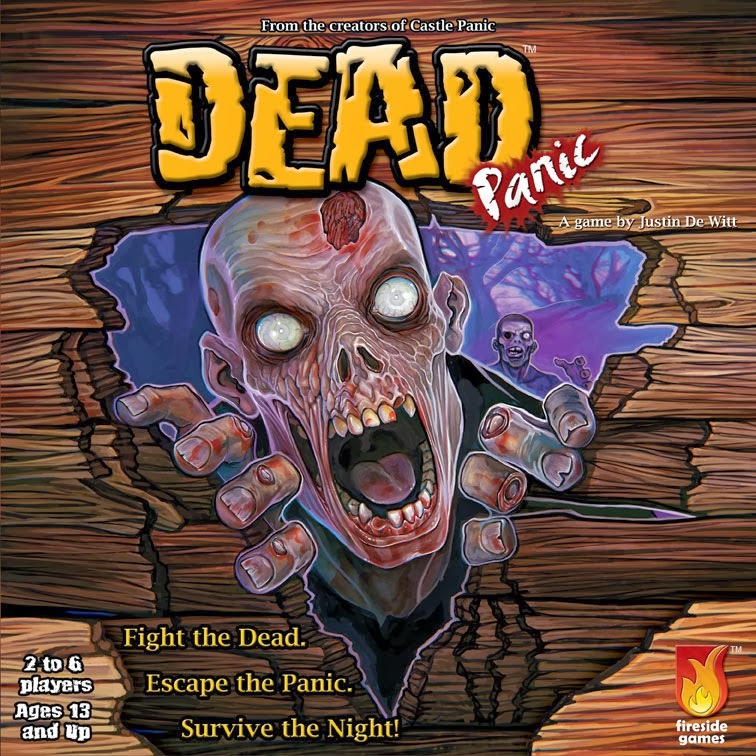 New from Fireside Games is the much anticipated, Dead Panic. 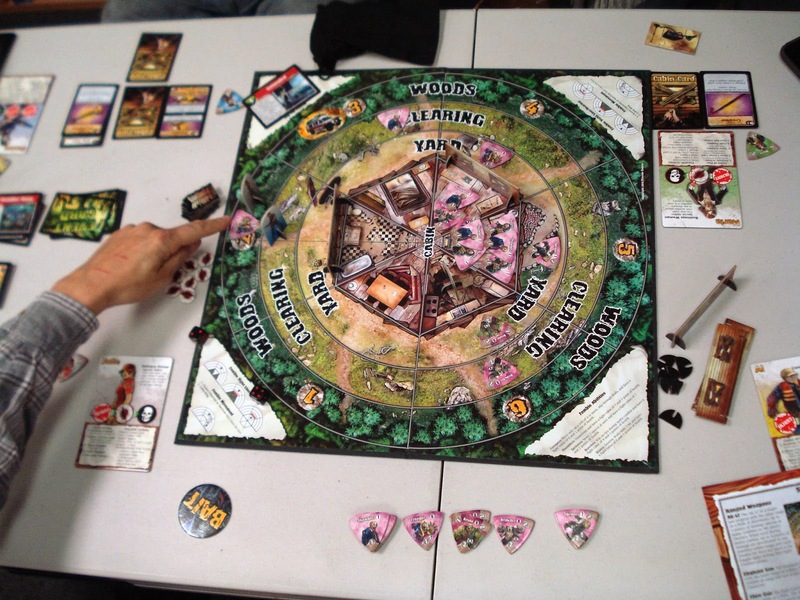 Fireside Games has had much success with the collaborative game, Castle Panic. Make a stand in a remote cabin to survive the night. 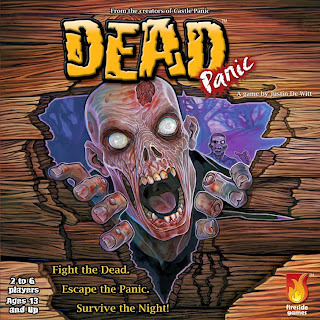 Players pick one of 8 characters, each with a special ability, to start in the center of the board to defend against waves of zombies. Ranged weapons are available, but when all else fails hand-to-hand combat will be necessary. Players must work together to defend the cabin until survivors can bring pieces of a radio that will have to be assembled in order to call for a rescue. While venturing outside the cabin one must be extra careful as the zombies will be drawn to you. More danger awaits you when it is your turn to possess the Bait token. Once the rescue vehicle arrives players must make a run for it. Anytime during the game if a player takes too many injuries the character dies and comes back as a zombie to chase down their former teammates. Players are aided by weapons drawn from the cabin deck and hindered by events from the event deck. Winners will defend the cabin well, retrieve and assemble the radio, then sprint to the rescue van before they too become a zombie. Wow, is it ever a zombie apocalypse! 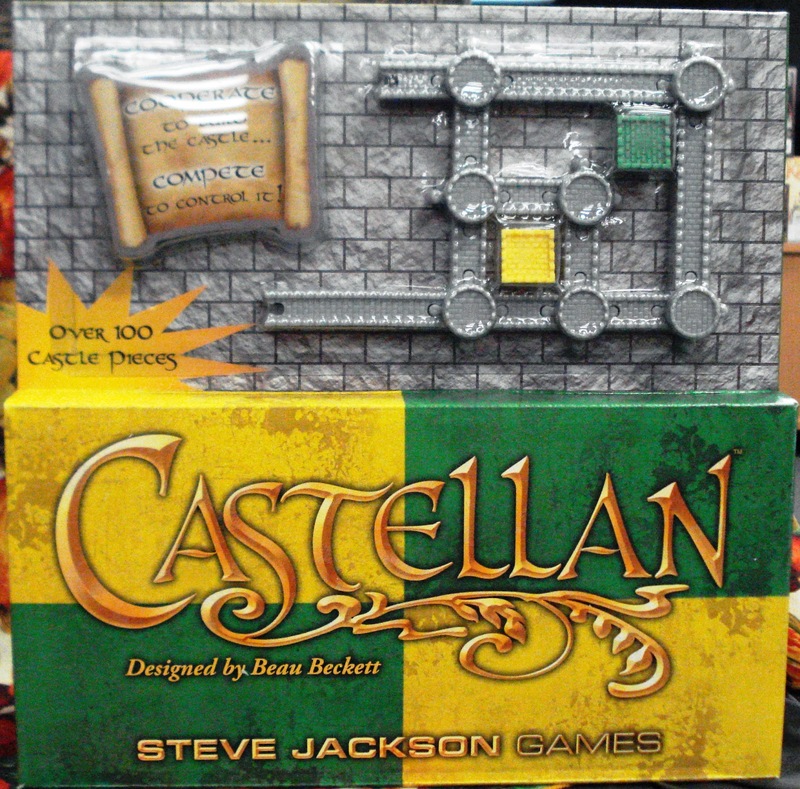 Also just in from Steve Jackson Games is Castellan, Green & Yellow Edition. pieces link together to form courtyards which you'll try to claim with a Keep. You must be clever in placing your wall and tower pieces so that you gain as towers in your courtyards without adding points to your opponent. 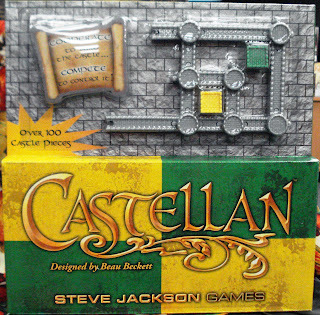 Castellan comes in two 2-color editions, a blue & red edition, and now a green & yellow edition. Each Castellan edition is a 2-player game played with the same game mechanics.You can create a 4-player game by combining the Blue/Red edition with the Green/Yellow Edition. 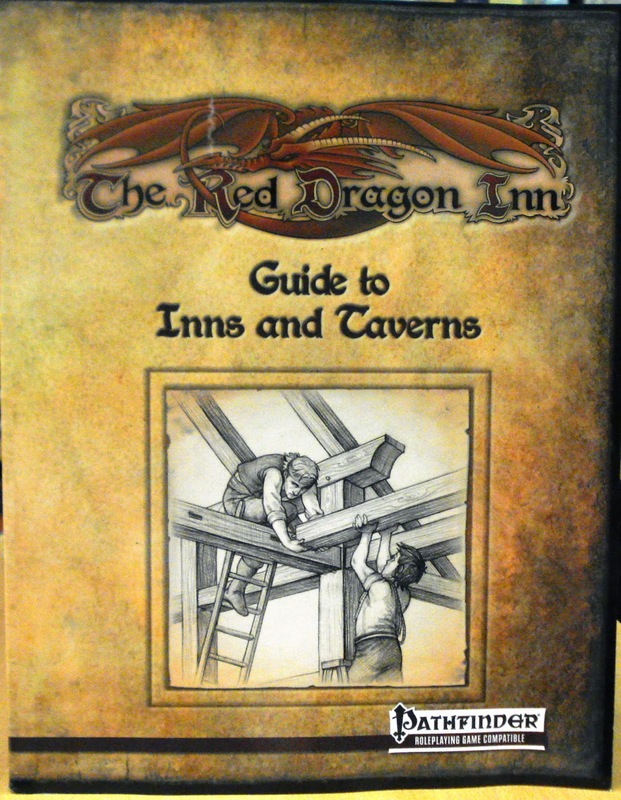 Just released from Slugfest Games for Pathfinder roleplaying enthusiasts is The Red Dragon Inn: Guide to Inns and Taverns. This guide is a companion source book for filling your games with detailed and imaginative places for the heroes to eat, drink, and be merry. Included is information on running, stocking and building inns and taverns. 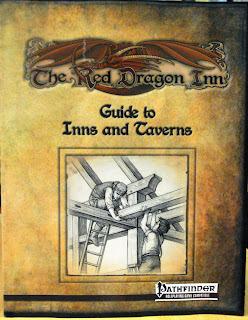 The guide offers tips and tricks for running believable inns and taverns, and populating them with interesting NPC's, expanded combat rules to account for exactly how hard it is to throw that barrel across the room when the fight inevitably breaks out, new rules for dealing with drunken heroes and the morning after, and new drinks to get them there, as well as new classes, geats, traits, spells, equipment, and magic items.